VIERA, Florida -- More schools could close if the Brevard County Commissioners decide to suspend the educational impact fact fees, Brevard School Board member Amy Kneessy warns. During the last County Commissioner meeting, Brevard Commissioner Robin Fisher brought up the idea of taking away the impact fees. "We still got the school board impact fees, and the school board is making your kid go two distances away to Palm Bay High when you're right next door to another high school," Fisher said to fellow Commissioner Andy Anderson. "The schools are getting $4,700-$4,900 a house for impact fees because we never suspended on them a moratorium. I’m watching them close schools and I’m watching them spend $8 million for software stuff, and they're suppose to be in dire straits, they're doing pay raises. We keep sending money over there and they’re closing schools. If you're closing schools, you can’t have an impact on roads." "Now you made me think," Anderson said with a chuckle. "I’d like to look at it too." "If they are not expanding or adding capacity, does that money just sits in an account somewhere?" 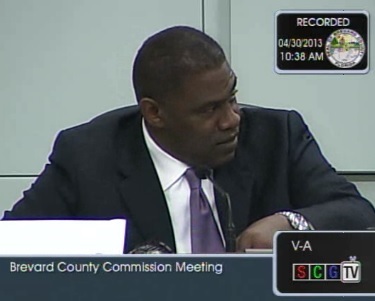 Anderson queried to Brevard County attorney Scott Knox. "I think there’s certainly an argument to be made that if you are not in expansion mode any longer, then the impact fees aren’t serving any purpose," Knox replied. But Kneessy warns that such retaliatory action taken by the Brevard County Commission because they are not happy with the School Board's decision to close schools would only result in more schools closing because the impact fees are used to service existing debt on expansion projects that were undertaken in the last few years. Kneessy projects that, "At least one, maybe two more schools would be cut," and added that "all the programs that were on the chopping block this year that survived the cut could be back for consideration next year." Kneessy will be on the Bill Mick Live radio show, channels AM 1240 and 1350, this morning at 8 a.m. to take listeners' questions about the issue. UPDATE: A replay of today's Bill Mick Live show can be listened to here.